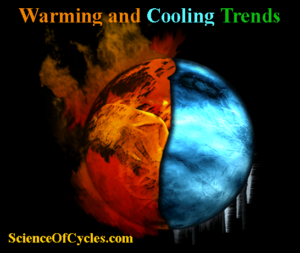 The term global warming has changed from a noun to an adjective. This is to say it no longer is used to describe a globe that is warming, but instead the term now defines a manipulated preconceived notion that anthropogenic pollution IS global warming. What has happened here is not new, it is a very effective method usually used in military conflicts. In its dressed down form it is a mechanism contrived to win the ‘hearts and minds’ of the general public, and in this case several scientists as well. 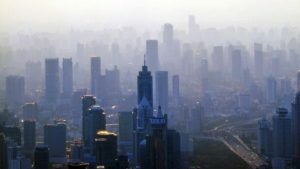 Does pollution contribute to a warming climate? Research does suggest yes, however, there is absolutely no consensus as to what percentage. Is it 1%, 10% or more…I have no reservation in telling you it certainly is not anthropogenic meaning 100%. 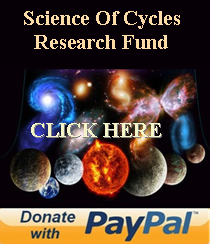 My research along with others, indicate the vast majority is natural, furthermore, it is cyclical. Does this mean it is okay to pollute? 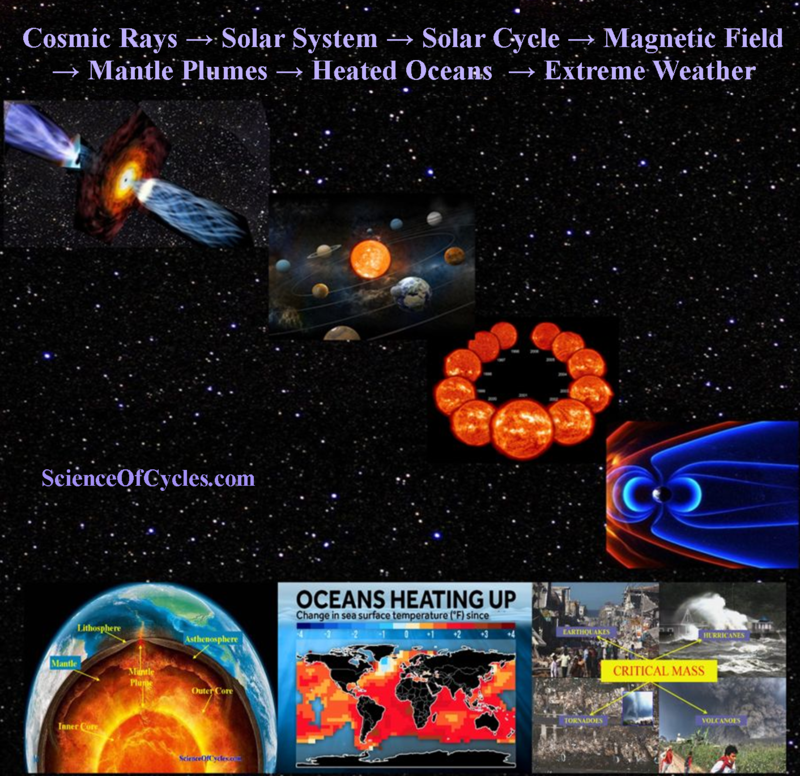 Absolutely not; and it also means if by some magical scenario all pollution were to stop or disappear tomorrow – Earth would continue to have warming and cooling trends, some of which would be extreme and most would fall into a range of medium. To no surprise, it comes down to money. Do we chase a red herring spending billions on prevention? Or do the billions go for preparedness? 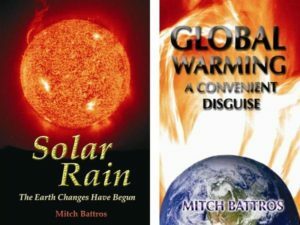 If the politics over global warming were to mysteriously evaporate, then perhaps there could be some method of using resources in both directions. 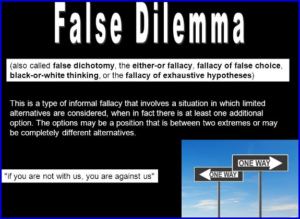 But the way it is now there will continue to be the issuing of ‘false choice’. 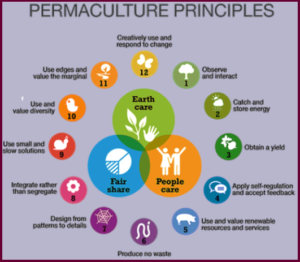 Some examples of coexisting preparedness and measured prevention would be Innovation Biodegradable Engineering and Permaculture. It looks like this article needs to have a third part. More Coming….. The researchers characterized both the flow and mechanical stress of the Jacobshavn ice mélange using field measurements, satellite data, lab experiments and numerical modeling. The results quantitatively describe the flow of the ice mélange as it jams and unjams during its journey through the fjord. 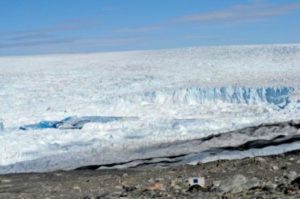 The paper also showed how the ice mélange can act as a “granular ice shelf” in its jammed state, buttressing even the largest icebergs calved into the ocean. Mercury is small, fast and close to the sun, making the rocky world challenging to visit. Only one probe has ever orbited the planet and collected enough data to tell scientists about the chemistry and landscape of Mercury’s surface. Learning about what is beneath the surface, however, requires careful estimation. After the probe’s mission ended in 2015, planetary scientists estimated Mercury’s crust was roughly 22 miles thick. One University of Arizona scientist disagrees. Using the most recent mathematical formulas, Lunar and Planetary Laboratory associate staff scientist Michael Sori estimates that the Mercurial crust is just 16 miles thick and is denser than aluminum. His study, “A Thin, Dense Crust for Mercury,” will be published May 1 in Earth and Planetary Science Letters and is currently available online. Sori determined the density of Mercury’s crust using data collected by the Mercury Surface, Space Environment and Geochemistry Ranging (MESSENGER) spacecraft. He created his estimate using a formula developed by Isamu Matsuyama, a professor in the Lunar and Planetary Laboratory, and University of California Berkeley scientist Douglas Hemingway. Sori’s estimate supports the theory that Mercury’s crust formed largely through volcanic activity. Understanding how the crust was formed may allow scientists to understand the formation of the entire oddly structured planet. “Of the terrestrial planets, Mercury has the biggest core relative to its size,” Sori said. Mercury’s core is believed to occupy 60 percent of the planet’s entire volume. For comparison, Earth’s core takes up roughly 15 percent of its volume. Why is Mercury’s core so large? Sori’s work may help point scientists in the right direction. Already, it has solved a problem regarding the rocks in Mercury’s crust. When the planets and Earth’s moon formed, their crusts were born from their mantles, the layer between a planet’s core and crust that oozes and flows over the course of millions of years. The volume of a planet’s crust represents the percentage of mantle that was turned into rocks. Before Sori’s study, estimates of the thickness of Mercury’s crust led scientists to believe 11 percent of the planet’s original mantle had been turned into rocks in the crust. For the Earth’s moon — the celestial body closest in size to Mercury — the number is lower, near 7 percent. “The two bodies formed their crusts in very different ways, so it wasn’t necessarily alarming that they didn’t have the exact same percentage of rocks in their crust,” Sori said. Explaining why Mercury created more rocks than the moon did was a scientific mystery no one had solved. Now, the case can be closed, as Sori’s study places the percentage of rocks in Mercury’s crust at 7 percent. Mercury is no better than the moon at making rocks. Sori solved the mystery by estimating the crust’s depth and density, which meant he had to find out what kind of isostasy supported Mercury’s crust. The most natural shape for a planetary body to take is a smooth sphere, where all points on the surface are an equal distance from the planet’s core. Isostasy describes how mountains, valleys and hills are supported and kept from flattening into smooth plains. There are two main types isostasy: Pratt and Airy. Both focus on balancing the masses of equally sized slices of the planet. If the mass in one slice is much greater than the mass in a slice next to it, the planet’s mantle will ooze, shifting the crust on top of it until the masses of every slice are equal. Pratt isostasy states that a planet’s crust varies in density. A slice of the planet that contains a mountain has the same mass as a slice that contains flat land, because the crust that makes the mountain is less dense than the crust that makes flat land. In all points of the planet, the bottom of the crust floats evenly on the mantle. Until Sori completed his study, no scientist had explained why Pratt isostasy would or wouldn’t support Mercury’s landscape. To test it, Sori needed to relate the planet’s density to its topography. 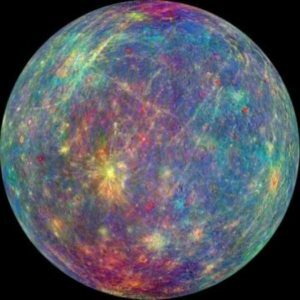 Scientists had already constructed a topographic map of Mercury using data from MESSENGER, but a map of density didn’t exist. So Sori made his own using MESSENGER’s data about the elements found on Mercury’s surface. Sori then compared his density map with the topographic map. If Pratt isostasy could explain Mercury’s landscape, Sori expected to find high-density minerals in craters and low-density minerals in mountains; however, he found no such relationship. 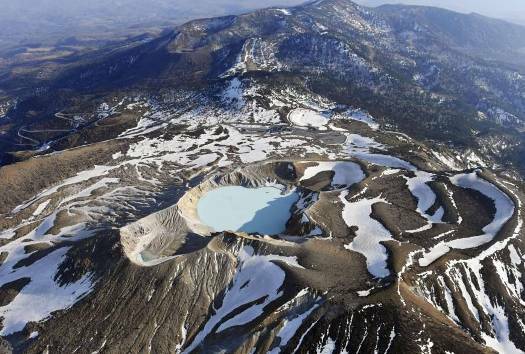 On Mercury, minerals of high and low density are found in mountains and craters alike. With Pratt isostasy disproven, Sori considered Airy isostasy, which has been used to make estimates of Mercury’s crustal thickness. Airy isostasy states that the depth of a planet’s crust varies depending on the topography. “If you see a mountain on the surface, it can be supported by a root beneath it,” Sori said, likening it to an iceberg floating on water. “These arguments work in two dimensions, but when you account for spherical geometry, the formula doesn’t exactly work out,” Sori said. Sori used his estimates of the crust’s density and Hemingway and Matsuyama’s formula to find the crust’s thickness. Sori is confident his estimate of Mercury’s crustal thickness in its northern hemisphere will not be disproven, even if new data about Mercury is collected. He does not share this confidence about Mercury’s crustal density. MESSENGER collected much more data on the northern hemisphere than the southern, and Sori predicts the average density of the planet’s surface will change when density data is collected over the entire planet. He already sees the need for a follow-up study in the future. Researchers from the Biocenter of the University of Würzburg have now made the surprising discovery that the desert ant uses the Earth’s magnetic field as orientation cue during these calibration trips. This ability had been previously unknown for desert ants. “While they are foraging for food, desert ants venture several hundred metres away from their nest, pursuing a sinusoidal path that includes larger loops. Once they have found food, they return to the nest entrance in a straight line,” Wolfgang Rössler describes the ants’ astonishing navigational abilities. The researchers had known already that the ants rely on the position of the sun and landmarks as orientational cues and integrate this information with the steps travelled. Recent research results have shown, however, that the desert ant also looks back to the nest entrance during its learning walks in the absence of solar information or landscape cues. “This sparked the idea that the insects might navigate using the Earth’s magnetic field as a cue, as some birds do,” Pauline Fleischmann says. The result was unambiguous: When the scientists changed the orientation of the magnetic field, the desert ants no longer looked towards the real nest entrance but towards a predictable new location — the fictive nest entrance. “Their path integration provides them with a new vector to the nest based on the information of the magnetic field,” Wolfgang Rössler explains. The scientists admit that they had been surprised by this finding. They say that although individual ant species are known to respond to changes in the magnetic field under certain conditions, the necessity and distinct influence on navigation in Cataglyphis ants was unexpected. With this result the researchers have “opened a new door which raises a lot of further questions.” One of them is: “When do desert ants use their magnetic sense?” It might well be that they already rely on it during the first weeks of their life which they spend underground. After all, a navigational aid can be quite useful in total darkness. But this is only a hypothesis at this point. The second question the scientists want to tackle is how and whether the ants switch between the different navigational cues — the position of the sun, landmarks and the magnetic field. Experienced foragers are already known to perform re-learning walks when they are forced to do so, for example by changing the environment at the nest entrance. It is unclear, however, whether they rely on magnetic field cues again in this case or whether they use their solar compass as during the foraging trips. 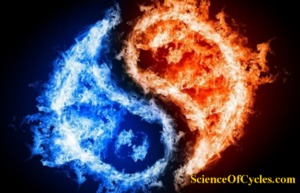 This new research may be the most hard-hitting conformation of my 15 years of research – initially providing evidence of the Sun-Earth connection and Earth’s weather, then later in my studies adding evidence of a Galaxy-Sun-Earth connection. This research has been well documented in my books “Solar Rain” 2005 and “Global Warming Disguise” 2007. 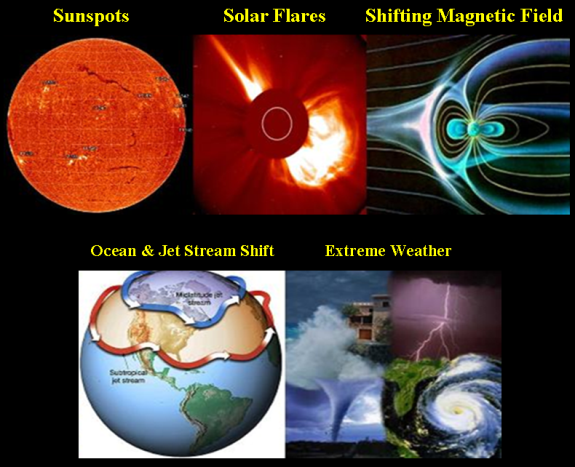 Further research is currently documented in my third book (in progress) providing evidence of long-term cyclical events highlighting the reduction of Earth’s magnetic field and the pathway to a full magnetic reversal. I wish to present a brief thank you to all those who have supported my work over the years; and perhaps more importantly, the support of my cause. Forward looking research comes with a challenging task to stay focused – provide substantial evidence which can survive peer review – and the support of people like you who continuously encouraged me to “stay with it”. Without you, I would have been just another person with great ideas. Scientists have discovered new evidence showing high-speed solar wind streams can increase extreme weather down on Earth. Researchers from Reading University Department of Meteorology – have discovered evidence that extreme weather events are triggered by charged particles from the Sun in addition to galactic cosmic rays from our galaxy “Milky Way”. The results of these new findings, which were published in the scientific journal Institute of Physics Environmental Research, could prove crucial for weather forecasters since solar wind streams rotate with the Sun at regular intervals which accelerate charged particles into Earth’s atmosphere. These streams can be tracked by spacecraft offering the potential for predicting the severity of hazardous weather events on Earth many weeks in advance.